Being a multi-passionate entrepreneur, Elisabeth's experience comes from multiple facets of life. Having helped many small businesses in her career, including her own as a Dance-Fitness Studio Owner, and her husband's aviation business. In possession of a desire to deliver the best possible service, Elisabeth studied and achieved a Diploma of Accounting in 2010. 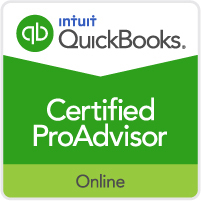 With the introduction of Cloud based and Mobile Accounting, Elisabeth dedicated her future learning to understanding Intuit QuickBooks Online, becoming a Certified QuickBooks Online ProAdvisor. Elisabeth utilises her knowledge of coaching to teach those who want to learn. She understands that communication is the key and listening to her clients requirements allows for the presentation of easily understandable concepts. Elisabeth lives in Glenmore Park, which of course is in the beautiful Nepean Valley.